Black Friday sales seem to get started earlier and earlier, and at an Alabama mall the early start meant trouble. With people leaving their homes after a Thanksgiving meal to get to the mall, it just seems to allow more time for patience to be tested and tempers to flare. In Hoover, Ala., fights broke out at the mall that forced the shutdown of Riverchase Galleria, AL.com reported. The Hoover police and fire departments responded to calls at the mall after 11 p.m. Thursday, a time when stores are normally closed. That call was in response to an apparent fight on the second floor of the mall. Rumors of gunfire spread on social media, but law enforcement on the scene say said it was someone shooting off fireworks. 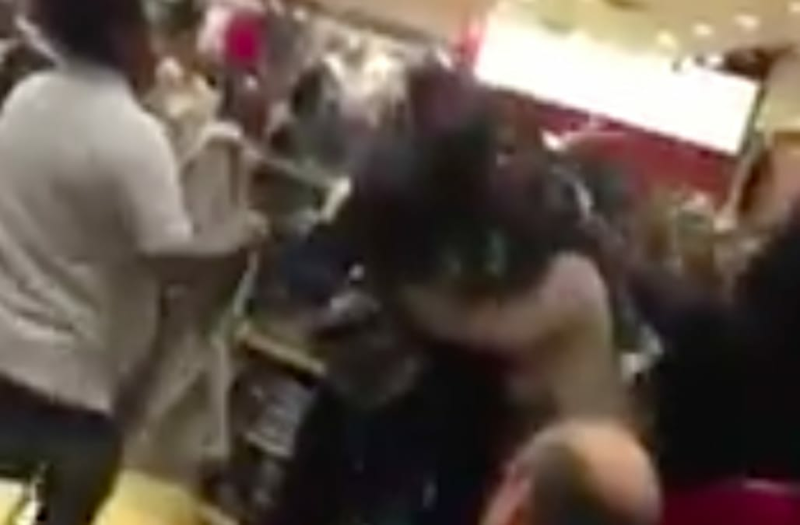 A video of a fight uploaded on Twitter shows two girls coming to blows. Hoover police told AL.com that the fights were not started over sales merchandise, but were instead of a personal nature. Only one person was treated by paramedics for minor injuries stemming from the fight, and no one needed to be taken to the hospital. Police made several arrests, although none of the people taken into custody were identified. The Galleria opened to shoppers at 6 p.m. on Thanksgiving Day, and was scheduled to close at midnight before reopening again at 6 a.m. for Black Friday. Because of the fights, authorities shut down the mall at about 11:20 p.m. and ushered shoppers out. Everything we know about Meghan Markle's last few days on "Suits"